This book gives an intriguing overview of all the major world religions by compiling expanded research to expound on these religions that gives the reader a historical look at the history of religion. Concerned about the world's unrest and states of affairs with the abounding wars and rumors of wars and the many natural disasters such as floods, hurricanes and volcanic eruptions, the author writes with much fervor and conviction, addressing these dire situations that affect the world peace and endanger lives. The author has compiled intricate data that shows that wars and fighting are one of the main reasons for poverty and starvation for many under-developed countries. She writes her thesis, giving the readers in-depth knowledge and understanding of all the world religions. She explicitly shows how many religions profess peace, but have no real prayer or plan of how peace can be accomplished. Biblical truths are revealed throughout much of her book, pointing to the foundations of Christianity, also addressing the many falsehoods of the many false religions that are prevalent in many countries that profess peace. 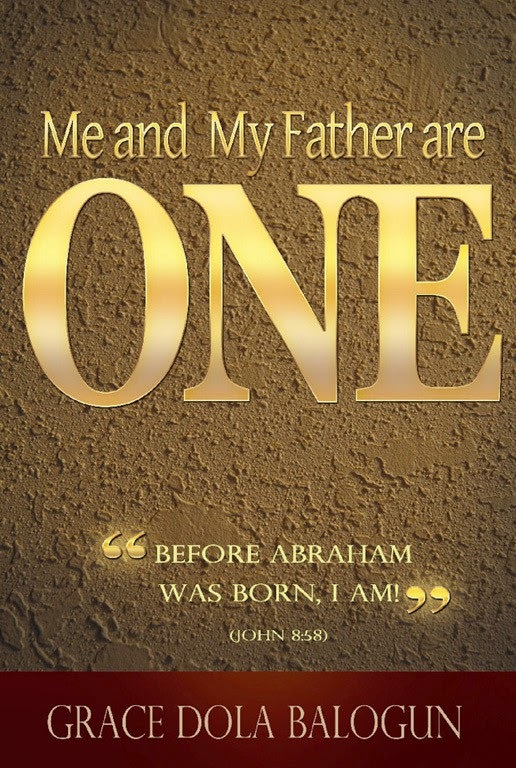 With the use of much Scripture from the Holy Bible, the author has given a foundation to the solution for world peace. 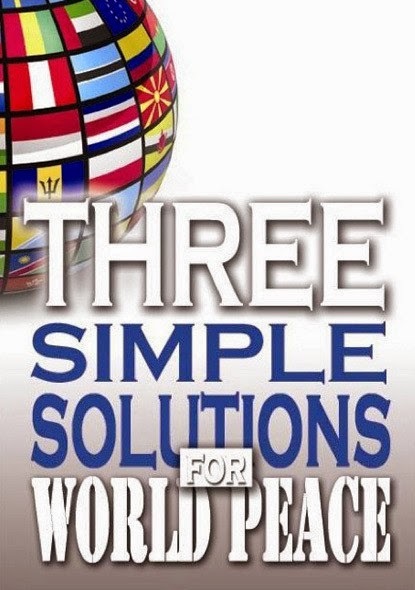 Through her book, Three Solutions For World Peace, the author offers solutions to the unrest and lack of food in hopes that leaders will read this book and change course. Our world is in dire need of change, but how can such a change be accomplished? Come and see what the author has to say about this monumental issue that will change your heart and mind in regards to who you serve and what you can do. This book will open many eyes to the truth of God's Word and point many to the cross. A highly recommended and educational read. The Church, The Body of Christ, gives an account to many facets of Christianity that began with the Day of Pentecost and the outpouring of the Holy Spirit. Offering sound biblical representation and powerful scriptural application, the author gives understanding to the body of Christ, revealing the power given to Christ’s Disciples. Within this, the power and absolute authority of God’s Son, Jesus Christ, is unveiled – as He has been given power and authority over all. The reader will gain a deeper insight and understanding of the Church, revealing that the body of Christ is universal, belonging to all peoples and tongues, who call upon and believe in Jesus Christ. Thus revealing the promises of God, the power of signs and wonders and the power available through the Holy Spirit, with uniting purpose and function as the body of Christ throughout the Earth. 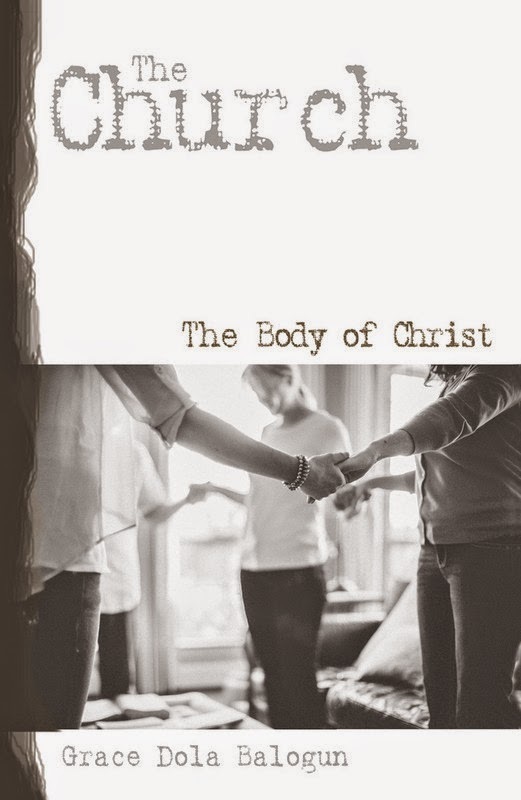 Challenging, informative and well-researched, this book is designed for those that want to know the purpose and function of the true Church, known as the body of Christ. Giving a background on how the Church began, the author offers a study-guide as to the birth of the Church at the Day of Pentecost and visible manifestations that accompanied the outpouring of the Holy Spirit. Paralleling these promises, the author relates this to the power that is available to the Church through empowerment of the Holy Spirit. With wisdom and accurate representation of the Gospel, the author has translated the Bible’s teaching on the Church into a simple and easy to understand format, incorporating teaching of the Scriptures that cultivate an understanding of the purpose of God the Father’s will. Justification by Faith Alone in Christ Alone by Christian author Grace Dola Balogun is an uplifting book that encourages the Body of Christ to persevere through various hardships and trials because the hope of Christ does not disappoint, nor does His salvation by grace alone fail. The one requirement to salvation is faith in Jesus Christ as the author and finisher of our faith. The author encourages readers to come up higher and gain a new perspective that is biblically based on subjects such as faith, grace, salvation, redemption, sanctification and justification. All are revealed from a biblical foundation, displaying the truth of the Gospel. 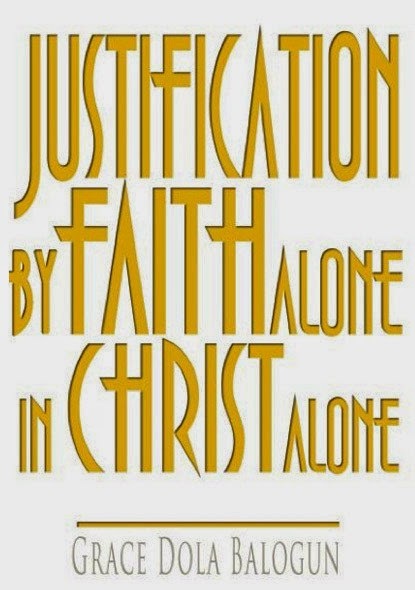 Christ won for us on the Cross justification by faith alone. The author thereby reveals the wonderful work of God that comes from justification that produces the fruits of the spirit in the believer. By discussing such topics as: interpretation of faith, God's work of justification, grace, redemption, Abraham's faith, Christ's obedience to the Father, the peace of God, holy faith that produces works, no faith equaling no good works, the results of good works, the fruit of faith, post reformer teachings on faith, examples of faith, living by faith - not by sight, faith, Christ, sanctification and glorification, Christ as our hope of glory and the gift of grace - the author has given a comprehensive study on the matter of justification by faith in Christ alone. Once one comes to Christ, they are a new creation in Christ. This new creation experiences a remission of sins and a righteousness that is imputed from our heavenly Father through Jesus Christ to the new believer. We must understand the justification that has taken place enables the Christian to enter into eternity. All have come short of the glory of God and all go their own way; we can praise the Lord for this justification that comes by faith alone in Christ alone. Hallelujah! Amen. This book is filled with encouragement, faith building principles and will provide the reader with volumes of scriptural references. 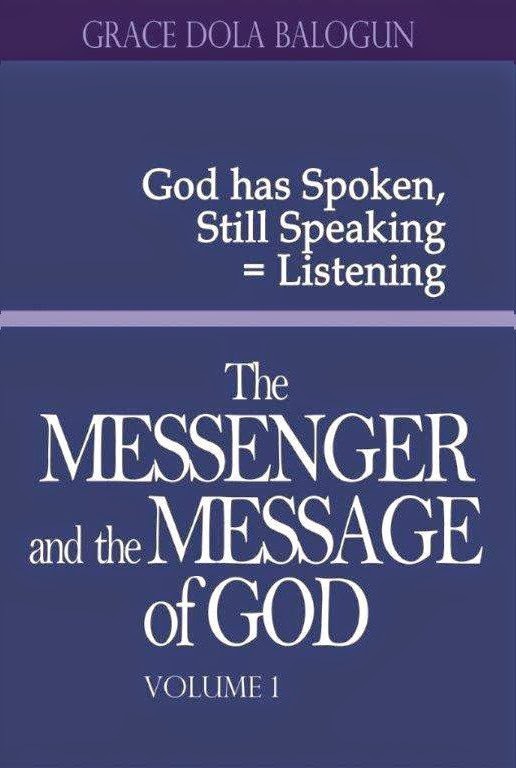 The Messenger and the Message of God (Volume I) by Grace D. Balogun is the first volume in a two volume series created by the author to give readers a deeper understanding of God's message and His messengers, the prophets. With a firm biblical foundation from the Word of God, the author teaches and inspires all to come to know God's message and answer His call to live a godly life and to spread the gospel to all people. The author states that God has spoken, is still speaking today and encourages others to listen as the Lord has, "...supremacy over all things, both in Heaven and on Earth." God calls His Disciples and God makes them into "fishers of men," so that they too, as the prophets did, can preach the Gospel to the ends of the Earth. Volume I provides an overview of the Old Testament prophets. The book is written to give understanding to the position, title, purpose and abilities of the prophets of Old, as well as giving an understanding of each book presented. A short synopsis of the apostles of Jesus Christ and a prayer to give thanks is offered as a conclusion to the book. This is a great book to give deeper insight and understanding to the Word of God, His prophets and the calling that each one of us has to be as Disciples of Christ.